The Consumer Price Index is the government’s method of measuring the price of goods and services bought by urban wage earners and clerical workers. 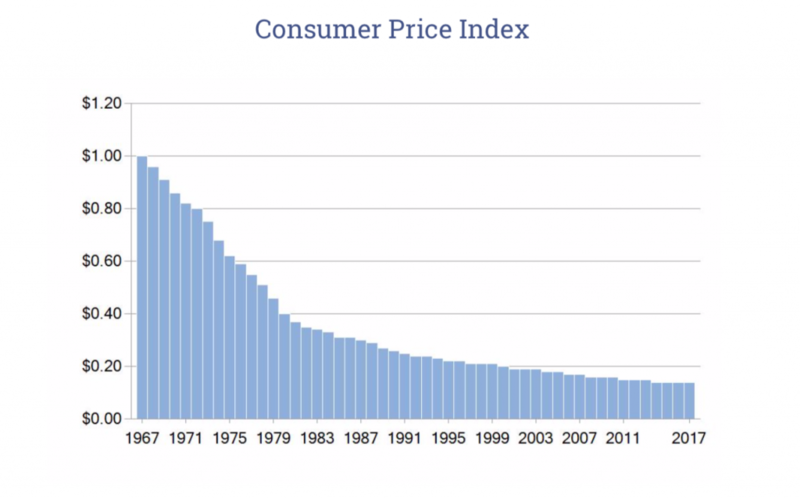 The graph1 below charts the decline in the purchasing power of one dollar since 1967, as a result of inflation. Over the last 50 years, the average annual inflation rate in the U.S. has been 3.85%. 1 Source: U.S. Bureau of Labor Statistics (CPI-W) (1967 – 2017).